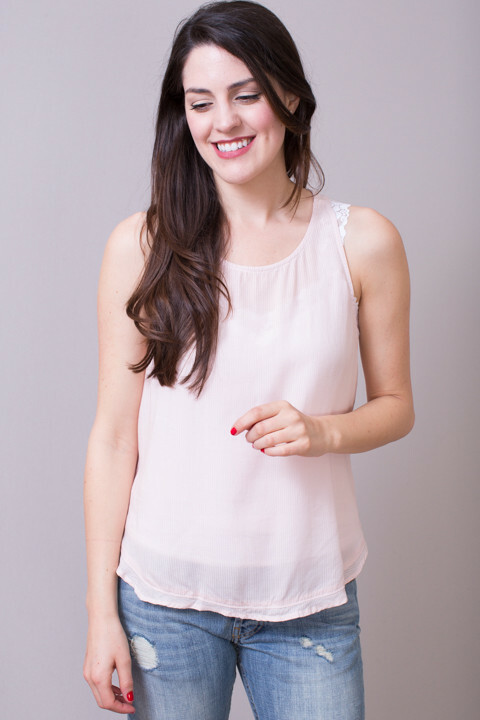 The Cala Lilly Tank by Bella Dahl is such a basic staple to add a little hint of pink to any outfit. This lightweight ultra soft blouse has a scoop neckline and is a racerback style. The material has light vertical stripes that are made from two light shades of pink. There is a single simple ruffle along the bottom hemline. Perfect to wear or its own or to layer under a cardigan. Made of 100% tencel. Made in the USA. Machine wash in cold water and tumble dry low.